Ann Arbor (Informed Comment) – In what French Foreign Minister Jean-Yves Le Drian called “an important geo-political gesture,” France, Germany and the UK have swung into action with the backing of the European Union to set up a mechanism, called Instex, which will permit European firms and banks to continue to trade with Iran without risking being excluded from the lucrative American market or being fined by the US Department of the Treasury for bucking the US boycott on Iran. Jean-Pierre Stroobants and Marie de Vergès at Le Monde explain that Instex will be headquartered in Paris and run by a German banker, with buy-in from the three founding countries. The mechanism is complex but apparently Europe will initially sell Iran “humanitarian goods” such as pharmaceuticals and food, which are exempted from the severe US sanctions, and will buy Iranian petroleum with the proceeds. Iran will apparently pay Instex, and Instex will reimburse the pharmaceutical and food companies, so that they are never required to deal directly with Iran. 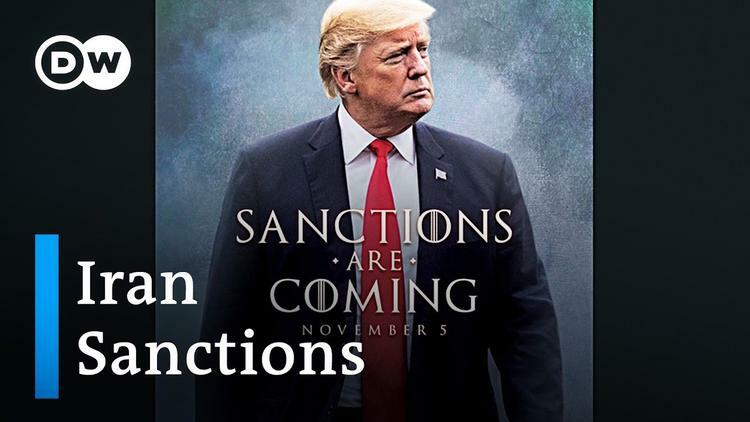 Eventually, small and medium European firms who do not do business with the US could use the instrument to sell their goods to Iran without risking sanctions. The US is trying to sanction third parties, those who do business with Iran, but Europe is creating fourth parties, those who do business with Instex. Instex is the one dealing with Iran. And since it has no dollars and doesn’t deal with the US, Instex probably can’t be fined or punished by Treasury’s Office of Foreign Asset Control. The high officials of Instex will be issued diplomatic passports so that the US cannot indict them and seek their extradition. A Trump administration insider said that Washington is worried that Instex will gradually replace the SWIFT bank exchange, that further countries (China? Russia?) might join and use Instex to evade US sanctions, and that European firms will trade goods other than the humanitarian to Iran. Some of these fears seem way overblown; Instex is only capitalized at a billion dollars and can’t replace SWIFT in any relevant time frame! But Instex is certainly intended to allow trade in other than just humanitarian goods. The permanent members of the UN Security Council signed the Iran deal (JCPOA) wih Tehran in summer of 2015. In return for Iran crippling its civilian nuclear enrichment program, the US and the UN Security Council would lift sanctions. But Trump violated the treaty and slapped severe sanctions back on Iran. Europe is angry at Trump’s fecklessness and wants to buy Iranian petroleum and invest in the Iranian market. Instex is in part a declaration of independence from Trump and an assertion of European sovereignty. French finance minister Bruno LeMaire resents dollar dominance and will back anything that will support the euro and allow it to challenge the US dollar. Europe is also afraid Trump will drive Iran to start back up its nuclear experiments and take small strides toward having a bomb. Europe is closer to Iran and so even more invested in the deal. If anything goes wrong and there is a US war on Iran, Europe would face another refugee crisis.